There’s a gap between desire and reality, between aspiration and the act. Whilst many organisations espouse values such as ‘integrity‘ and ‘fairness‘, the reality is that they display neither, inhabiting instead a space of indifference or meek acceptance. They may not be actively dishonest or unfair, but neither are they actively striving to attain these ideals. They occupy, instead, the middle ground: a place of apathy and compliance. Why? Because rules and regulation do not grant or confer integrity and fairness, instead, they create a space for those behaviours, but it’s the behaviour that defines who we are. The rules may prevent us being unfair, but it’s our action or inaction in the moment that counts. Doing the bare minimum may create a great place to work. It may mean that most of the time we are happy, that we can do our jobs and that we get stuff done. But it doesn’t mean we are making the world a better place. We are not effecting change. To be truly socially responsible and fair, we don’t just have to do the bare minimum, we have to strive for the maximum. It’s not enough to just watch our own behaviour and ensure that we do nothing wrong: we have to actively reach out and do something right. Fairness is created in the moment, through every conversation. Not just special ones we save us for the event. It’s broadcast in every action we take with every person we deal with. If we want our organisation to be more fair, we have to provide a framework for decision making to achieve this. Decisions on how we act are not made in isolation: they are taken within a web of influence. On the one hand, organisational pressures drive us in one direction, whilst our own internal integrity may drive us in another. Our social communities will judge us on our actions and we leave a legacy behind. 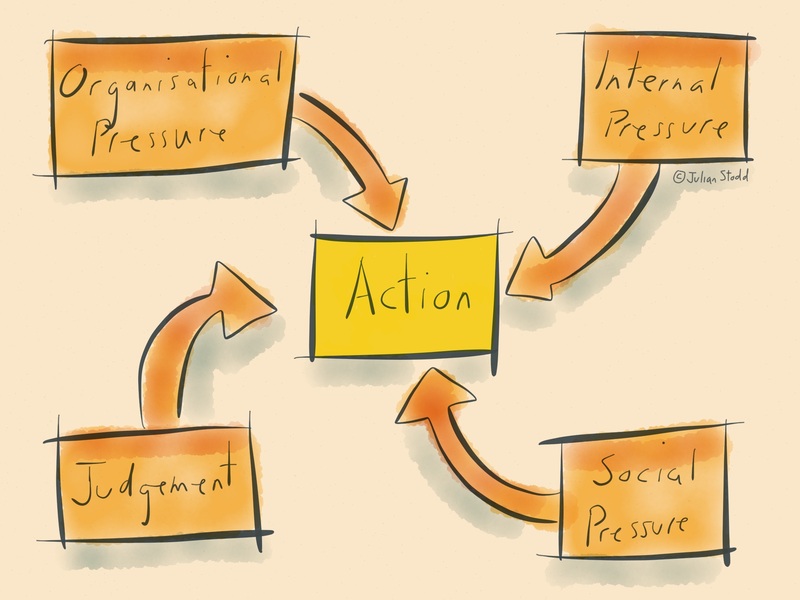 These four elements can conflict: it’s virtually impossible to balance them all out. There is always a cost, from either action or inaction. But it’s about balance. 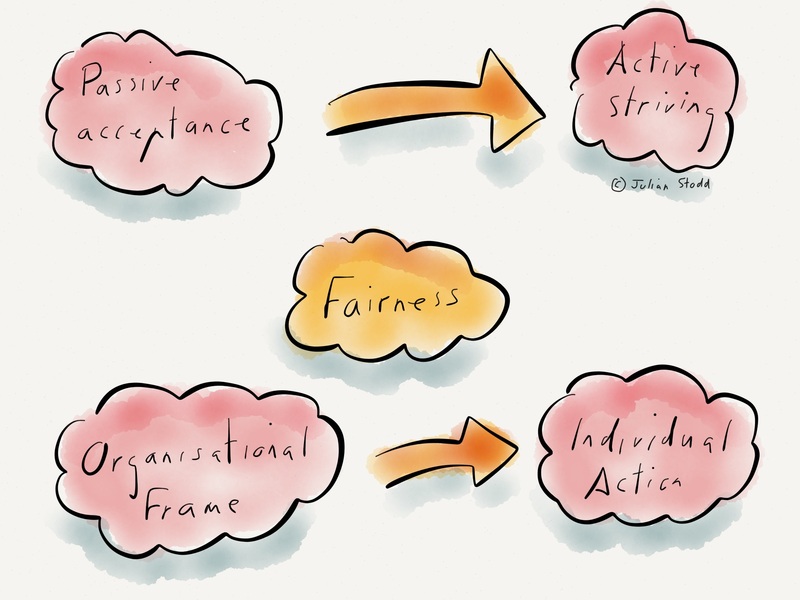 The Framework for Fairness is designed as a tool to help individuals achieve this: it’s a mechanism to help us ensure we break habits, reflect on actions and clearly narrate our thinking. 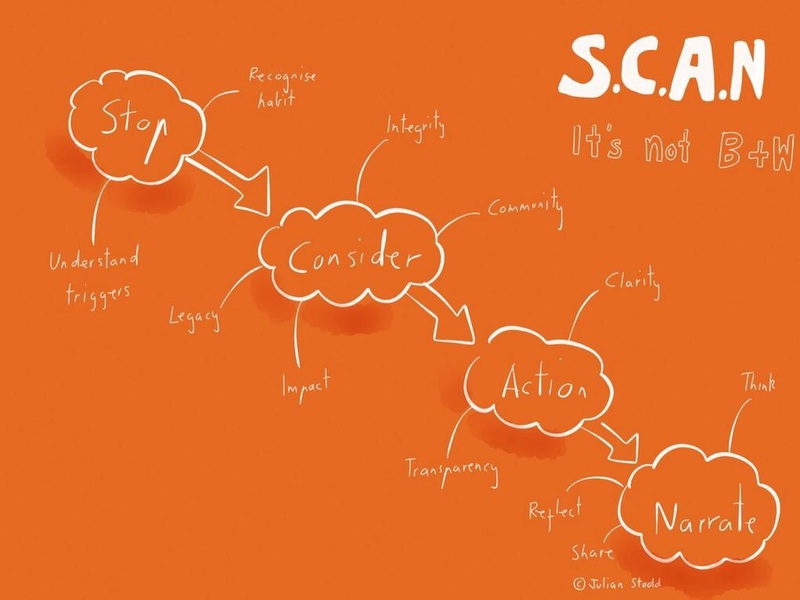 Achieving fairness in an organisation is more than just stating intent: it’s about supporting action in practical ways. This entry was posted in Culture and tagged Equality, Fairness, Honesty, Integrity, Social Age, Social Responsibility, Socially Responsible Business. Bookmark the permalink. Reading your present article, I realize the convinience of reading all your previus articles.